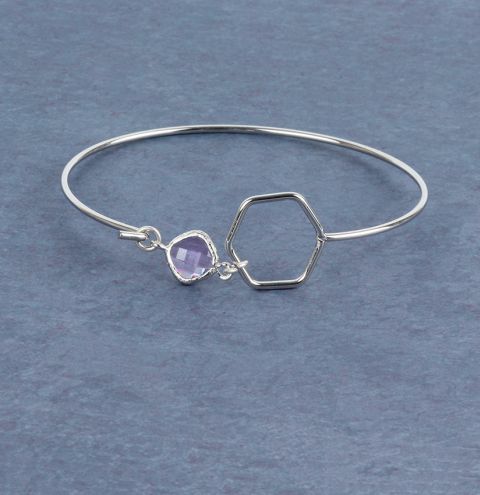 Learn how to make the Crystal Hex Bangle using a delicate silver bangle and a pretty connector charm. Attach a jumpring to either side of your pink crystal connector charm. Open one jumpring and connect it to the hexagon shape on your bangle. Use the other jumpring to open and close your bangle by hooking the other side of the bangle through it.